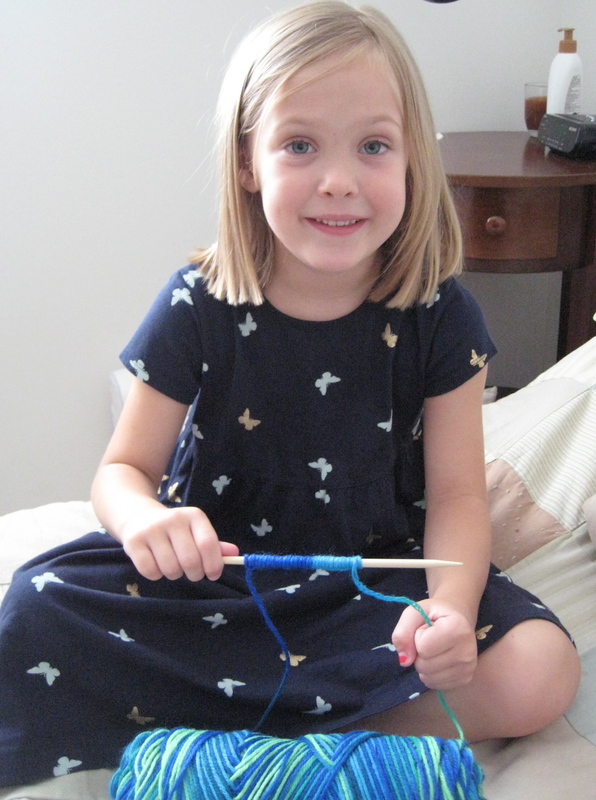 … teaching my six-year-old how to knit. We had an outing of our own. Just the two of us. To Jo-Ann to pick out a new craft for her. She picked knitting. And she was determined. She didn’t want a kids kit either. She wanted real yarn and real needles. Did I mention she was set on this? She picked out her own, colorful yarn, and we got some needles. And a cute, helpful book, Kids Learn to Knit. We followed it up with ice cream. Of course. The next day we got started. I was amazed at how quickly she picked up casting on, especially as I looked back at how difficult I first thought it was ~ LOL. She’s been plugging away at it ever since. And I think she is doing great! That's lovely! My 9yo still can't cast on. Congratulations to your 6yo! That's great! I think it's fun to see how kids catch on to things that we parents think might be too difficult. Clara just started piano a couple of weeks ago and I was afraid she just wouldn't "get it" but she's doing fabulously (and her mother is living vicariously through her!). What a fun project for the two of you. 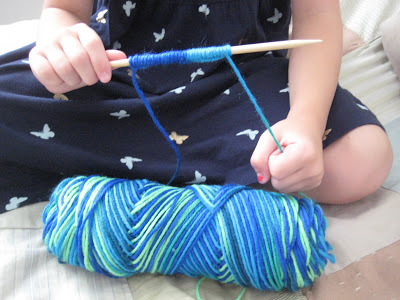 And she'll be able to tell other young women who never learn to knit "my mom taught me!" Awesome!!! That is REALLY REALLY good! i think she is doing a great job! 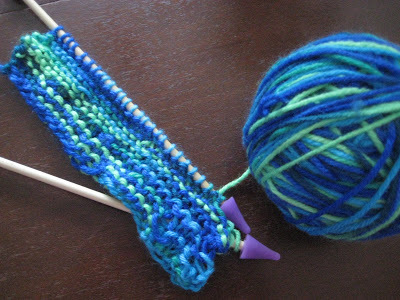 and i am totally impressed because it took me forever just to learn how to cast on!